Additional Chief Metropolitan Magistrate Laxmi Kant Bidwai has convicted Abhay V Udeshi, director of Jayant Oil Mills, and Harish Pandya, an employee of the company, for criminal conspiracy and cheating and sentenced them to two years of imprisonment. 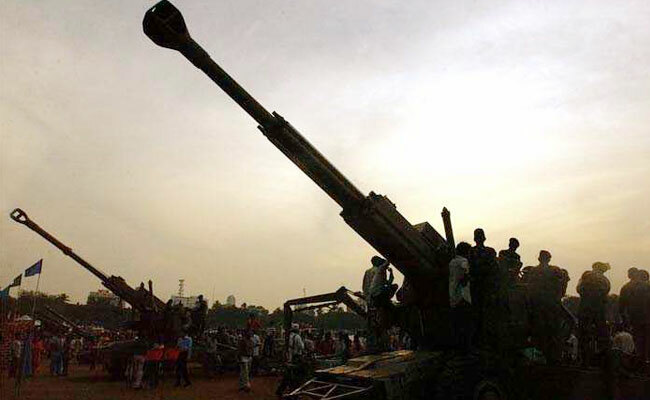 New Delhi: In an offshoot of the Bofors guns purchase case, two executives of a private company have been convicted by a Special CBI court, Mumbai, in a 25-year-old matter pertaining to criminal conspiracy and cheating in exports to the Swedish company. In a recent order, Mr Bidwai said it was a case of cheating to cause "damage or harm" to the reputation of the Indian government in the international market. "This is not only an attempt to commit cheating but it is a complete act of cheating," he said. India had inked a deal with Swedish company Bofors for the supply of 400 155-mm Howitzer guns for the Indian Army worth Rs 1,437 crore in 1986 through a counter trade agreement. One of the conditions of the agreement was that in return of the sale of guns, Bofors would import from India commodities such as coffee and castor oil and its byproducts. The Indian government had nominated the State Trading Corporation (STC) as the nodal agency to monitor the import of castor oil and other commodities by Bofors from India. Similarly, Bofors had nominated London-based Alexander Crichton Associates Limited to import various commodities from India on its behalf under counter trade obligation. Jayant Oil Mills agreed to export castor oil and its byproducts to Bofors through the London-based company. As part of the trade, Jayant Oil Mills had to pay 0.5 per cent of the Free On Board value of the export to the STC as a service charge. In 1989-90, Abhay V Udeshi and Vithaldas G Udeshi -- both directors of Jayant Mills -- along with Harish K Pandya, an employee of the company, entered into a criminal conspiracy to cheat the STC. Mr Pandya dishonestly prepared false export shipment documents along with a cheque favouring STC as a service charge without exporting 56 MT Hydroxy Stearic Acid to Hamburg, West Germany. The trio also submitted the forged documents to Alexander Crichton Associates Ltd which forwarded those documents to STC, without the actual export of a goods consignment. The STC officials noticed the fraud and informed the CBI which started the investigation in 1992. The CBI did not find any evidence against two STC officials and a private person, named in the FIR, during its probe. The agency dropped the charges against them. In 2004, charges were framed against Abhay Udeshi, Vithaldas G Udeshi and Pandya. During the trial Vithaldas died, so the proceedings against him were dropped. While pronouncing Udhesi and Pandya guilty, Mr Bidwai said it was clear that the accused hatched a criminal conspiracy to cheat the STC. Mr Bidwai pointed out that the accused had deceived the STC to presume and accept that they had exported 56 MT Hydroxy Stearic Acid by virtue of an invoice and a bill of lading. In the event of giving approval to it, there was the likelihood of the STC's reputation being harmed. "Thus, even though here is no case of delivery or retention of any property by deception but as contemplated in Section 415 of the Indian Penal Code, there was likelihood of damage to the reputation of STC and equally to the foreign trade policy of Government of India. Thus, it was a cheating, to cause damage or harm to the reputation of Government of India," Mr Bidwai said while convicting the accused. He said even though there was no loss of money to any person in this case, there was every likelihood of loss of reputation of Government of India in the eyes of the international trading market which could not be calculated in the terms of money. "Even the act of accused is an attack on the Foreign Trade Policy of Government of India. They have tried to kick the Foreign Trade Policy of Government of India," Mr Bidwai said, but adopted a lenient approach in sentencing the accused considering that the trial had run on for 23 years, the age of the accused and that there was no monetary loss to anyone.